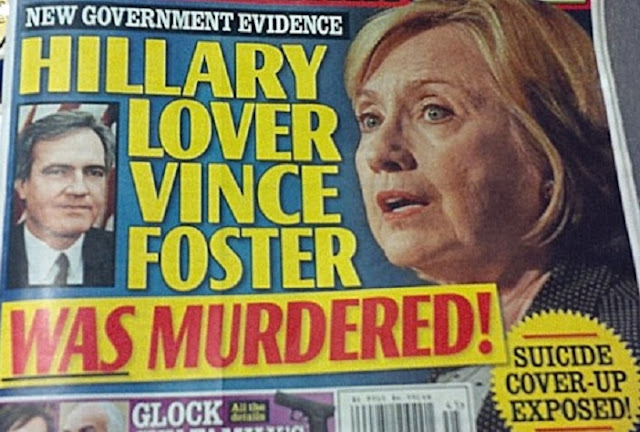 Murder of Vince Foster was tied to Hillary Clinton’s roles in White House Scandals at Whitewater and the White House Travel Office. 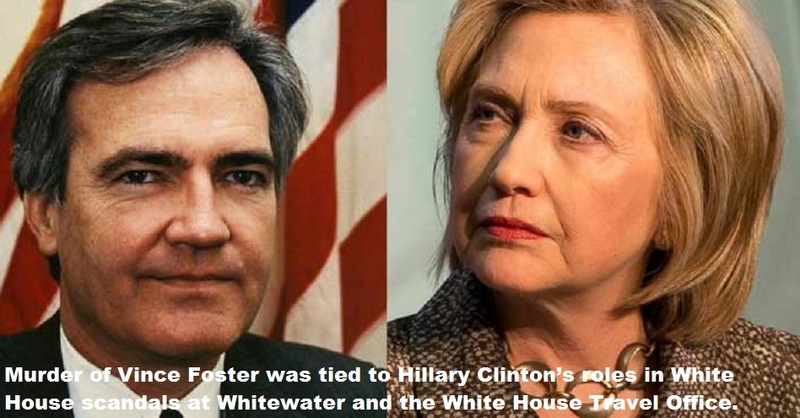 Murder of Vince Foster was tied to Hillary Clinton’s roles in White House scandals at Whitewater and the White House Travel Office. A book by Christopher Andersen entitled Bill and Hillary: The Marriage claims that Foster and Hillary Clinton were involved in an affair that led to Foster’s death. According to Ambrose Evans-Pritchard in a 1996 Telegraph (UK) article, Hillary Clinton asked Vince Foster to help her spy on her husband in 1990. Foster hired Jerry Parks, an Arkansas investigator who later worked as the head of security for the Clinton/Gore campaign. According to Parks’s widow, “Jerry asked Vince why he needed this stuff on Clinton. He said he needed it for Hillary.” When Vince Foster showed up dead in a Washington-area public park in the summer of 1993, Parks was terrified. Two months later Parks was shot nine times at close range, at a stoplight, in his SUV, in Little Rock. Parks’s home was then raided by eight Federal agents, including officers from the FBI, IRS, Secret Service, and (unusual for a domestic case) the CIA. 1992..The Worthen Bank givesBill Clinton a $3.5 million line of credit allowing the cash-strapped presidential candidate to finish the primaries. A massive “bimbo” patrol is established to threaten, buy, or otherwise disarm scores of women who have had sexual encounters with Bill Clinton. The campaign uses private investigators in an extensive operation that will be joked about at the time but later will be seen as a form of blackmail as well as psychological and physical intimidation. After the election Vincent Foster meets with James McDougal and arranges for him to buy the Clintons’ remaining shares in Whitewater Development Co. for $1,000. 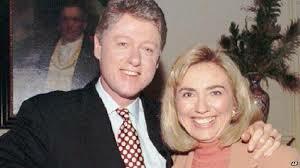 1993.. Two Arkansas state troopers describe arguments between the Clintons, including (in the words of Washington Times reporter Jerry Seper) “Hillary Clinton fuled foul-mouthed shouting matches and furniture-breaking sessions.” Hillary Clinton and David Watkins move to oust the White House travel office in favor of World Wide Travel, Clinton’s source of $1 million in fly-now-pay-later campaign trips. The White House fires seven long-term employees for alleged mismanagement and kickbacks. The director, Billy Dale, charged with embezzlement, will be acquitted in less than two hours by the jury. Vince Foster, the Clintons’ attorney, finally files several missing Whitewater tax returns. 1993..On July 19, FBI director William Sessions is fired. Clinton personally orders him by phone to turn in his FBI property and leave headquarters. That evening, Clinton security aide Jerry Parks’ wife Jane says she overhears a heated telephone conversation with Vince Foster in which her husband says, “You can’t give Hillary those files, they’ve got my name all over them.” On July 20, Clinton names Louis Freeh as Sessions’ successor. That same day, the FBI raids David Hale’s Little Rock office and seizes documents including those relating to Capital-Management. Just hours after the search warrant authorizing the raid is signed by a federal magistrate in Little Rock, Vince Foster apparently drives to Ft. Marcy Park without any car keys in a vehicle that changes color over the next few hours, walks across 700 feet of park without accruing any dirt or grass stains, and then shoots himself with a vanishing bullet that leaves only a small amount of blood. Or at least that is what would have to had occurred if official accounts are to be reconciled with the available evidence. There are numerous other anomalies in this quickly-declared suicide. Despite two badly misleading independent counsel reports, Foster’s death will remain an unsolved mystery. Less than three hours after Foster’s body is found, his office is secretly searched by Clinton operatives, including Hillary Clinton’s chief of staff. Another search occurs two days later. Vincent Foster Deputy White House Counsel Died: July 21, 1993. Found dead in Ft. Marcy Park in Washington, DC, of a supposed suicide by gunshot. A suicide note was supposedly found a few days later, torn into several pieces, in his briefcase, after his office had been entered by White House staff and materials removed. The “suicide” note, (leaked despite official efforts to keep it from view) has since been revealed to be a forgery. Neither Foster’s fingerprints or blood were on the gun he supposedly inserted into his mouth and fired. There was no blood on Foster’s hands. 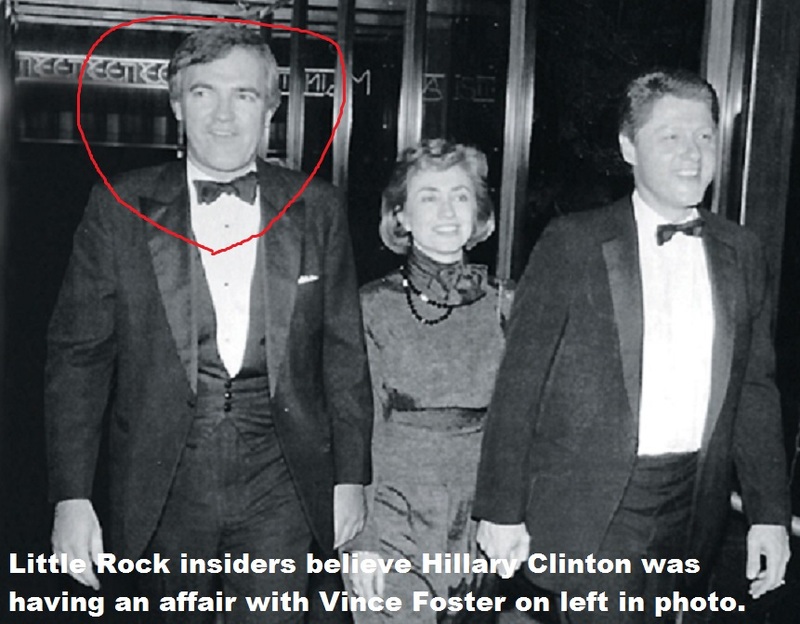 Foster was also from Hope, Ark., like Hillary and Bill Clinton, and also worked for the Rose Law firm as did Hillary. Foster had intimate knowledge of the Clintons’ personal finances. Foster was involved in an investigation of their finances, and reportedly made a phone call to Hillary Clinton, in Los Angeles, just hours before his death. Foster had been called to testify to Congress about the records Hillary refused to turn over. More than a few Little Rock insiders believe Hillary Clinton was having an affair with Vince Foster.